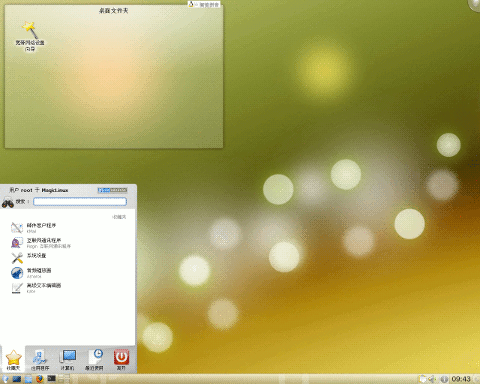 Magic Linux was a new distribution, which was specifically designed for Chinese users. Magic Linux was a non-commercial production completely developed by Linux enthusiasts with a simple motive in mind: say farewell to endless Chinese localisations from one Linux distribution to another and bring the native Chinese support to your desktop. Mageia is a fork of Mandriva Linux formed in September 2010 by former employees and contributors to the popular French Linux distribution. Unlike Mandriva, which is a commercial entity, the Mageia project is a community project and a non-profit organisation whose goal is to develop a free Linux-based operating system. Filip Komar has announced that the second beta release of the upcoming Mageia 7 is now ready for download and testing: "We are very proud to announce that Mageia 7 beta 2 is available for everyone to download. This new beta comes with lots of bug fixes and updates, and it is one of our best beta releases. Of course, there is still a lot of work to come before Mageia 7 is ready: a big Qt and Plasma update (5.15), a GNOME update (3.32 as soon it is released), and more checks on 32-bit hardware as well as the artwork for Mageia 7. For that, we will have a beta 3 set of images. We are all looking forward to implementing these changes and getting all of the rough edges polished out with all of the help from the community. Here are a few release highlights and package versions: Linux kernel 4.20, MESA 19.0 (release candidate), rpm 4.14.2, KDE Plasma 5.14.2, GNOME 3.30, Xfce 4.13.4, Firefox 64.0, Chromium 70, LibreOffice 6.2.0." See the release announcement and release notes for further information. Download: Mageia-7-beta2-Live-Plasma-x86_64.iso (2,736MB, SHA512, signature, torrent), Mageia-7-beta2-Live-GNOME-x86_64.iso (2,379MB, SHA512, signature, torrent), Mageia-7-beta2-Live-Xfce-x86_64.iso (2,242MB, SHA512, signature, torrent). A classic installation DVD is also provided: Mageia-7-beta2-x86_64.iso (4,174MB, SHA512, signature, torrent, pkglist). Donald Stewart has announced the availability of the initial beta release of Mageia 7, an upcoming major version from the project that forked the then defunct Mandriva Linux in late 2010: "Everyone at Mageia is very happy to get the first step towards Mageia 7. There is still a lot of work to come before Mageia 7 is ready - a big Qt and Plasma update, fixes for MATE and more checks on 32-bit hardware, as well as the artwork for Mageia 7. This release will see the return of the Classical installer as well as live images, with the standard lineup of architectures and desktop environments - 32-bit and 64-bit Classical Installers; 64-bit Plasma, GNOME and Xfce live DVDs and a 32-bit Xfce live DVD. Here are a few release highlights and package versions: Linux kernel 4.19.6, RPM 4.14.2, Plasma 5.14.2,GNOME 3.30, Xfce 4.13.4, Firefox 63, Chromium 70, LibreOffice 6.1.3." Read the rest of the release announcement for more details. Download links: Mageia-7-beta1-Live-Plasma-x86_64.iso (2,742MB, SHA512, signature, torrent), Mageia-7-beta1-Live-GNOME-x86_64.iso (2,346MB, SHA512, signature, torrent), Mageia-7-beta1-Live-Xfce-x86_64.iso (2,232MB, SHA512, signature, torrent). A standard installation DVD is also available: Mageia-7-beta1-x86_64.iso (4,219MB, SHA512, signature, torrent, pkglist). 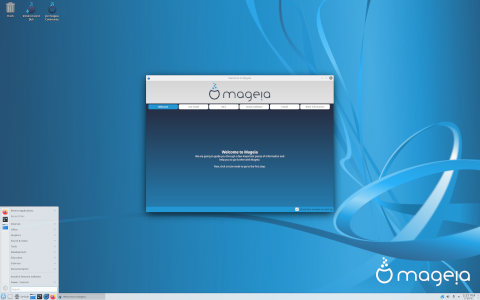 Donald Stewart has announced the release of Mageia 6.1, an updated build of the desktop-oriented Linux distribution which was launched in 2010 as a fork of the defunct Mandriva Linux. The new version represents the accumulation of all software updates since the release of Mageia 6 some 15 months ago: "It is with great pleasure that we announce the release of Mageia 6.1. This release brings all of the updates and development that has gone into Mageia 6 into fresh installation media, giving users a kernel that supports hardware released after Mageia 6. The new installations will benefit from the countless updates that current fully updated Mageia systems will have, allowing new installations to avoid the need for a large update post-install. So if you are currently running an up to date Mageia 6 system, there is no need to reinstall Mageia 6.1 as you will already be running the same packages. This release is available with only Live media, i.e. Live Plasma, Live GNOME and Live Xfce in 64-bit editions, and Live Xfce in 32-bit edition. A network installation is also available, for users wanting more granular control over the installation. Some of the release highlights include: Firefox 60.2, Chromium 68, LibreOffice 5.3.7, KDE Plasma 5.12.2, GNOME 3.24.3, Xfce 4.12, VLC 3.0.2, Linux kernel 4.14.70." Read the rest of the release announcement for more details. Download (mirror list, pkglist): Mageia-6.1-LiveDVD-Plasma-x86_64-DVD.iso (2,382MB, SHA512, signature, torrent), Mageia-6.1-LiveDVD-GNOME-x86_64-DVD.iso (2,127MB, SHA512, signature, torrent), Mageia-6.1-LiveDVD-Xfce-x86_64-DVD.iso (1,974MB, SHA512, signature, torrent), Mageia-6.1-LiveDVD-Xfce-i586-DVD.iso (1,935MB, SHA512, signature, torrent). Following several delays during the development cycle, the Mageia project has announced the release of Mageia 6. The new version includes the KDE Plasma 5 desktop environment, the DNF package manager is now available alongside urpmi and Mageia 6 includes live test media for the Xfce desktop environment: "The extra time that has gone into this release has allowed for many exciting additions, here are a few of the major additions and key features of Mageia 6: KDE Plasma 5 replaces the previous KDE SC 4 desktop environment. The new package manager DNF is provided as an alternative to urpmi, enabling a great packaging ecosystem: Support for AppStream and thus GNOME Software and Plasma Discover; support for Fedora COPR and openSUSE Build Service to provide third-party packages for Mageia 6 and later; dnfdragora, a new GUI tool for package management inspired from rpmdrake. Brand new icon theme for all Mageia tools, notably the Mageia Control Center. Successful integration of the ARM port (ARMv5 and ARMv7) in the build system, allowing to setup ARM chroots. Installation images are not available yet but will come in the future. GRUB2 as the default bootloader. New Xfce Live images to test Mageia with a lighter weight environment." Additional information on Mageia 6 can be found in the project's release announcement and in the release notes. Download (pkglist): Mageia-6-LiveDVD-Plasma-x86_64-DVD.iso (2,505MB, SHA512, signature, torrent), Mageia-6-LiveDVD-GNOME-x86_64-DVD.iso (2,072MB, SHA512, signature, torrent), Mageia-6-LiveDVD-Xfce-x86_64-DVD.iso (1,915MB, SHA512, signature, torrent). Donald Stewart has announced that the long-awaited release candidate for Mageia 6 is finally ready for testing: "Everyone at Mageia is exceptionally happy and proud to announce the availability of the release candidate of Mageia 6. It has been a long road, but we are at the last step and Mageia 6 is just around the corner. The extra time that this release has taken has had one huge benefit - the number of new and exciting additions to Mageia is staggering. They include the now far more mature Plasma to replace KDE 4, the dnf and COPR stacks to supplement urpmi, big updates to the major desktops and the other large stacks and components, and lots of package updates. Since Mageia 6 sta 2, a lot of work has been done on the installer, especially regarding the support of proprietary drivers and VirtualBox support." See the full release announcement for more information and an overview of the release. Download one of the available live DVDs (with GNOME, Plasma 5 or Xfce): Mageia-6-rc-LiveDVD-GNOME-x86_64-DVD.iso (2,070MB, SHA512, torrent), Mageia-6-rc-LiveDVD-Plasma-x86_64-DVD.iso (2,500MB, SHA512, torrent), Mageia-6-rc-LiveDVD-Xfce-x86_64-DVD.iso (1,914MB, SHA512, torrent). A standard installation DVD is also available: Mageia-6-rc-x86_64-DVD.iso (3,909MB, SHA512, torrent, pkglist). Donald Stewart has announced the availability of the second development build of the upcoming Mageia 6. Labeled as "Sta 2" and considered a "stabilisation snapshot", this testing build arrives eight month after the first snapshot. Besides the usual 64-bit KDE Plasma and GNOME live DVDs, this release also provides separate 32-bit and 64-bit live DVDs with Xfce: "Everyone at Mageia is delighted to announce the release of our latest development milestone, our second stabilisation snapshot (sta2). We are now one step closer to the release of Mageia 6. Knowing that our previous snapshot, sta1, was released in July 2016, this new development release was long overdue. We talked at length about the reasons for this delay in a previous blog post. In a few words, it can be summarized as a succession of delays due to key contributors unavailability, infrastructure issues, upstream Plasma bugs...." Read the release announcement for further information. Download: Mageia-6-sta2-x86_64-DVD.iso (3,865MB, SHA512, torrent, pkglist), Mageia-6-sta2-LiveDVD-GNOME-x86_64-DVD.iso (2,033MB, SHA512, torrent), Mageia-6-sta2-LiveDVD-Plasma-x86_64-DVD.iso (2,472MB, SHA512, torrent), Mageia-6-sta2-LiveDVD-xfce4-x86_64-DVD.iso (1,888MB, SHA512, torrent). Donald Stewart has announced the release of Mageia 5.1, an updated build of the distribution current stable branch. This unscheduled version was put together due to delays delivering the upcoming Mageia 6 which is currently in development. From the release announcement: "We are very pleased to announce the release of Mageia 5.1. This release is a respin of the Mageia 5 installation and live ISO images, based on the Mageia 5 repository and incorporating all updates to allow for an up-to-date installation without the need to install almost a year-and-a-half worth of updates. It is therefore recommended for new installations and upgrades from Mageia 4. If you are currently running Mageia 5 then there is no need to install Mageia 5.1 as it is the same as your system, provided that updates have been installed. Mageia 5.1 ships with many updated packages, including LibreOffice 4.4.7, Linux kernel 4.4.32, KDE4 4.14.5, GNOME 3.14.3 and countless other updates." See also the release notes for detailed technical information. Download links: Mageia-5.1-LiveDVD-KDE4-x86_64-DVD.iso (1,815MB, MD5, torrent), Mageia-5.1-LiveDVD-GNOME-x86_64-DVD.iso (1,622MB, MD5, torrent), Mageia-5.1-x86_64-DVD.iso (3,745MB, MD5, torrent, pkglist). The developers of Mageia have announced the release of a new testing snapshot, Mageia 6 Sta 1. The new snapshot features a move to the GRUB 2 boot loader and KDE's Plasma 5 desktop environment. "The first stabilization snapshot, as the name suggests, aims to start bringing everything together and getting the new software stable enough for release. Most of the big updates since dev1 have been moving from beta/RC releases of major software components to stable ones, which will hopefully give a nicely polished feel to the release. GRUB 2 is now the default bootloader as GRUB Legacy has finally run its course. We have also fully switched from KDE 4 to Plasma 5, as well as solved issues with localization." Further details and a list of core packages can be found in the project's release announcement and in the release notes. Download the installation or one of the live DVD images from here: Mageia-6-sta1-x86_64-DVD.iso (3,753MB, SHA512, signature, torrent, pkglist, torrent), Mageia-6-sta1-LiveDVD-GNOME-x86_64-DVD.iso (1,504MB, SHA512, signature, torrent), Mageia-6-sta1-LiveDVD-PLASMA5-x86_64-DVD.iso (1,787MB, SHA512, signature, torrent).